Meet John and Sam, founders of TheraQuest and our Staff. TheraQuest – Licensed Massage Therapists who are passionate about the service they provide to their clients. John passed away in 2016. We continue to carry on his vision, mission and passion. There is an adage that says when you find your passion you will never work a day in your life. After almost 30 years of business management and finance, John wasn’t sure what that meant. He made a career change in his later years. Beginning his career in Medical Massage Therapy he lived that adage every day. 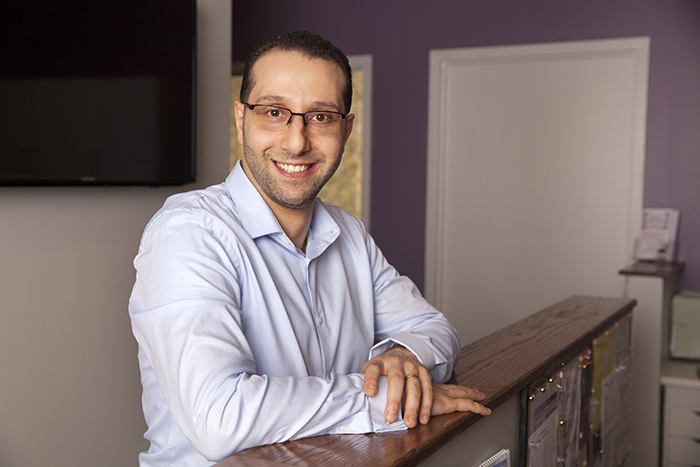 In 2005 John began his education at Connecticut Center for Massage Therapy in Westport, Connecticut. His training was focused on learning how to help people with all kinds of aches and pains that many people experience. He took classes for Orthopedic Massage, Neuromuscular Therapy, Deep Tissue, Shiatsu, Sports Injury, as well as Swedish massage. John graduated as a licensed massage therapist in December of 2007. He began his new career in a gym in Stamford, Connecticut. Shortly after, he was hired at a Chiropractor’s office in Rye Brook. He worked there for 4 years. He helped over 400 people in the time he was there with all kinds of musculoskeletal conditions along with spinal disorders. John’s passion and mission was to help everyone that came to him to the best of his abilities. He was committed to always expanding his knowledge with new research and education on additional forms of therapy. He took continuing education courses in Myofascial Techniques, Medical Massage, Neurokinetic Therapy, and Anatomy & Physiology at Cadaver Labs. John was a member of the Associated Bodywork & Massage Professionals and the New York Society of Medical Massage Therapy. 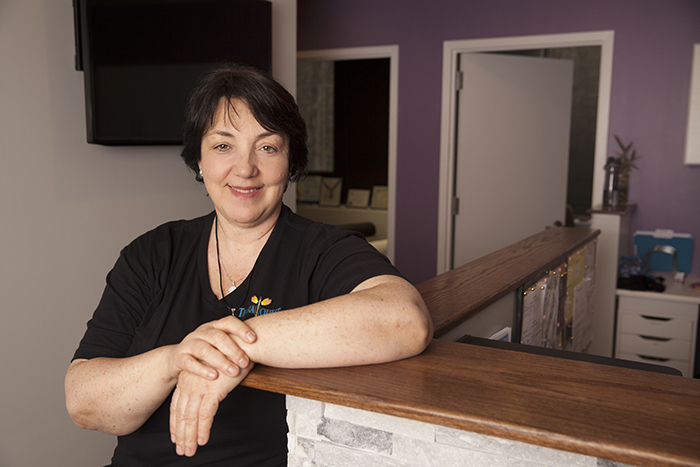 Sam, is a licensed massage therapist, who discovered Massage Therapy in 2009. It was through a recommendation of a friend after four years of crafting Mozzarella cheese using a century old method of working the cheese with his hands to deliver a high quality product for our customers. This experience led him to discover a career using his hands as his primary tools to help people live better lives. Sam discovered massage therapy and realized right away it was his calling. He received his massage therapy certification from Finger Lakes School of Massage in 2011. He completing 1,000 hours of education including anatomy and physiology, pathology, kinesiology, medical and sports massage. Being an athlete and a professional soccer player made Sam more focused on sports massage and injury rehabilitation, it also drove him to expand his knowledge to become a Certified Kinesio Taping Practitioner (CKTP), and a Certified Sports Injury Specialist (SIS). Sam worked at a chiropractor’s office for 2 years. It was an extraordinary experience because he was able to perform specialized therapy on patients with chronic spinal conditions using various therapeutic strategies. When Sam isn’t taking care of clients at TheraQuest, he is also a therapist at Burke Rehabilitation Hospital in White Plains. Massage is his passion and alleviating pain his mission. Ali, is a licensed massage therapist. 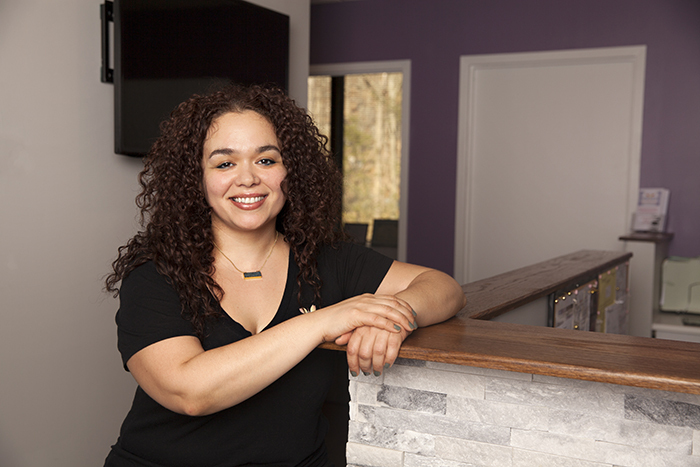 She graduated Connecticut Center of Massage Therapy in 2012.She has an integrative style of massage therapy. Her style incorporates sports massage, deep tissue, trigger point therapy, acupressure, cranial sacral, energy work and myofascial release therapy. Ali always does her best to give customized therapy sessions to the client’s specific needs to improve their overall wellness. She has clients with M.S, sports injuries, sciatica, scoliosis, arthritis, whiplash, etc. 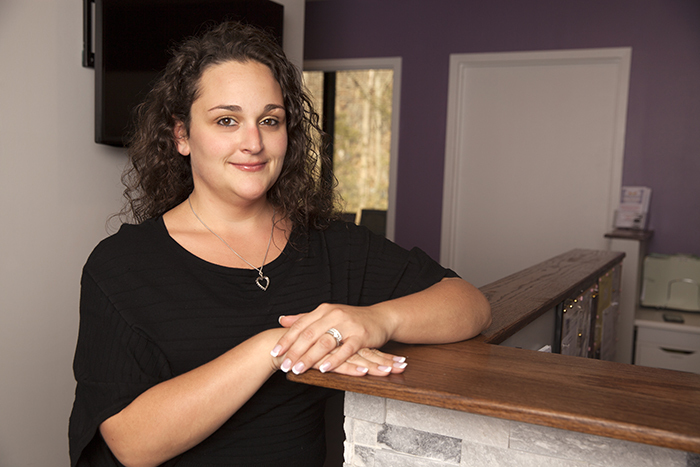 Ali began with TheraQuest in 2013 and continuously learns more about her profession. Ali, along with the others has established personal and professional relationships with every client who walks in the door. This is what sets TheraQuest apart from corporate massage chains. She learns from each client. She loves what she does and that is interpreted through her work. Laura met John in 2006 when they were both working at a local gym. Within the first week of meeting John they became great friends and he referred her for an office management position at a nearby chiropractor’s office where he also worked part time. Shortly after Laura was hired, John also brought Sam to work at the chiropractor’s office as a massage therapist. 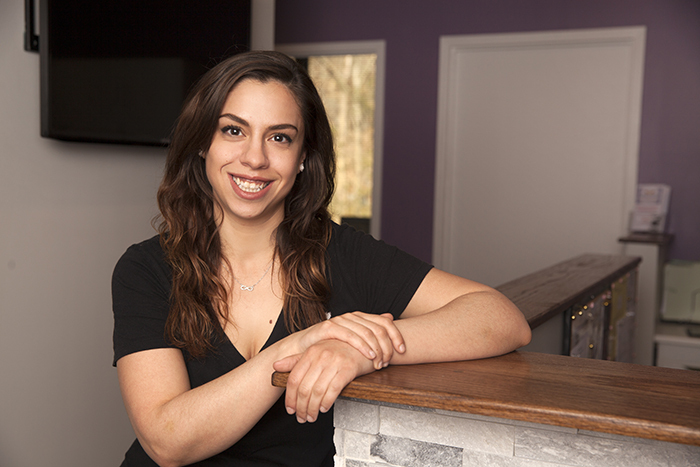 During her time working at the chiropractic office, Laura was fortunate to travel to different parts of the country with the doctor for training and seminars. She attended workshops on business management and insurance. More important that those workshops, she learned a lot about the anatomy of the body and how it works, which allowed her to better help patients everyday. In May 2013, John & Sam found the perfect office space to start their business. Laura left the chiropractic office and joined John and Sam in their business as the office manager. Along with her two beautiful children, this office has become a huge part of her life. She will forever be grateful for the opportunity John and Sam have both given her to be a part of something she truly loves as much as they do. It makes her incredibly happy to see the clients find such relief through their massage treatments and she is honored to be a part of the TheraQuest family. If you have any questions, please give us a call at 914-732-3444. Please be sure to inquire about our referral program and how it can be beneficial to you!